Yeah. We did it and that too in style! 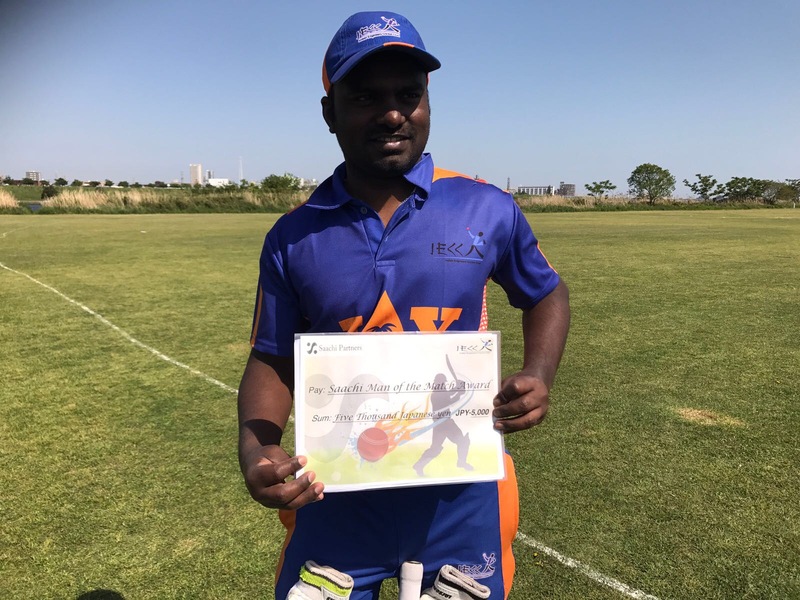 Hats off to the entire IECC team who played a great game in the friendly match on Sunday(yesterday) against this year’s Kanto Cup semi-final qualifier, the Edogawa Falcons. And this was the first time we defeated a Pakistani team! What a great weekend it has been for us and our country. 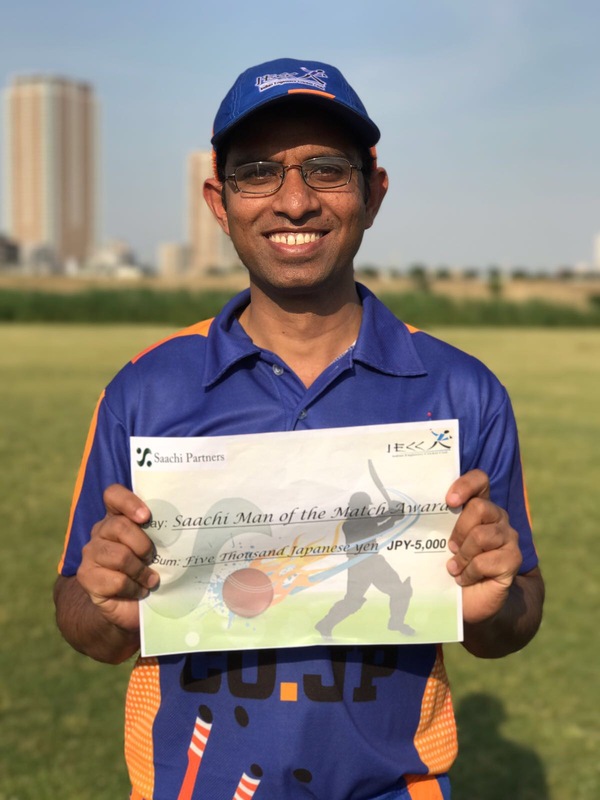 India thrashed Australia in the Kenya knockout tournament and here in Edogawa we THRASHED the Pakistanis on their home ground! There was never a moment the Falcons had an upperhand in the entire game. To start with they had lost the toss( thanks to me tossing the coin and Sheikh calling it wrong 🙂 He never realised that both sides of the coin I tossed was the same!! – just kidding). We preferred to bat first (with the weather and the forecast being cloudy for the entire day). On some good advice from some of the committee members (just before the start of the game! ), I preferred to change the batting/bowling order(sort of restructuring in the team. Manish would be rueing his chances for not being there!). Myself and Sriram opened the innings with Rajkumar(opener for this season) coming two-down. We had a pretty close and good start with runs being scored at an average of 5 runs/over and guess what, we managed to keep this rate for the entire 27 overs we played! (it was a 30 overs match). At the end of our innings, we scored 133 runs on the board with runs being chipped in from nearly everyone(the highest scored by balu around 31 runs). Now was the turn of the moment. We had a respectable total to defend. What better start can we can to have Sheikh being clean bowled off the very first delivery from Santosh in their innings ? It was just the start of the fireworks to follow. In the first eight overs of their innings, we had already sent back to the pavilion the top six falcon’s batsmen! Jay Kumar was simply outstanding in this match. He bowled a line and length, full of fire and accuracy. He also took a great catch at mid-on. He was our ‘Yuvraj Singh’ on this day. I’m pretty sure everyone in the team would agree with me. He was well supported by our other team members which paved the way to our well deserved victory. Our bolwers had about 6-7 Falcon’s batsmen clean bowled and at the end of the day, of the 82 runs they scored in less than 20 overs of their innings, only 32 runs came from their bat! There are few things I would like to highlight in this match. I’m sure one or some of the committee member(s) would be giving, sometime later, an analysis of the match report(positive/negative aspects of IECC) which I think would be good for the team(IECC) and help us boost our morale. b) We kept scoring runs and maintaining a run rate of 5 runs/over for the entire 30 overs match was simply great.I agree that if we have a great start in our batting, it takes off a lot of pressure on the batsmen to follow. c) Everybody who went to bat, bowl or field was full of confidence. This helped us relieve a lot of pressure which we normally put ourselves in most of our games. d) Even when we were on top, we never let go our momentum. The pressure was always on the Falcon’s throughout the game. e) Strategy (situational):- This one was primarily my responsibility but I cannot do any better without the entire team support!! I think overall, we worked out our problems pretty well on the field and I’m thankful to all for your support. f) Running between the wickets: We had a middle order collapse where we had about 3 run-outs though this was a temporary collapse and we need to improve on this. g) Catches/Fielding: We had taken all but two catches. We’re improving and must continue to do better. Over all the fielding was good. We had fielders positioned at the right places based on situations and this saved us a lot of valuable runs/boundaries. All mentioned above are important, inter-related and key to our success in our future games. Any weakness in one of them does have an impact to the other. Coming Sunday we have a game in Shizuoka and I’m sure many of our team members, already with a huge morale booster from this game, will continue this good form and team spirit. Personally, this is good for IECC as a club, and also build up the enthusaism/confidence for the members. 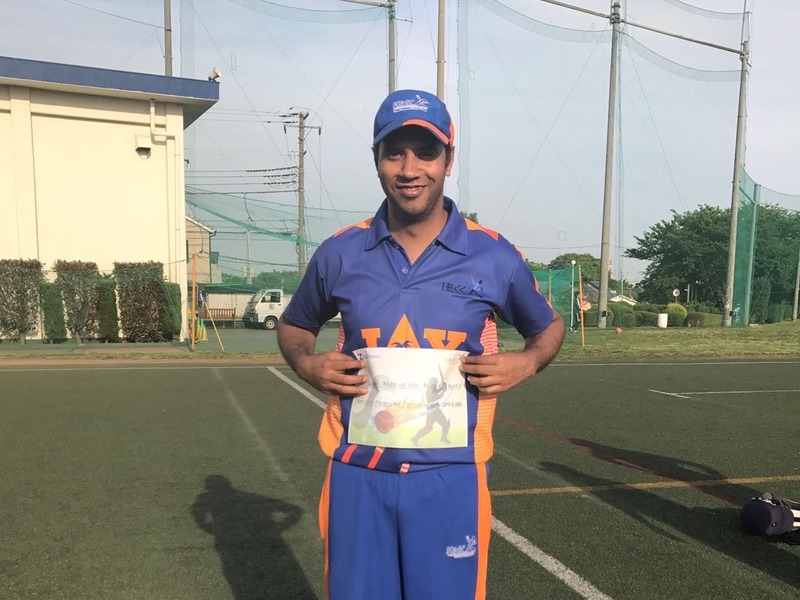 As many of you know, Jay Kumar will be leaving japan for States at the end of this month. 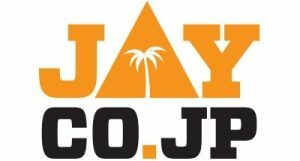 So this opportunity would be a fitting opportunity for us to give Jay a warm farewell after the game at Shizuoka(there will be drinks for all in the van except for the driver). Any volunteers for driving this sunday ? Last, but not the least, the not so good news for everyone – the finance part!! Those who haven’t cleared their subscription dues, kindly do so at the earliest.